I really believe this is one of the tastiest healthy appetizers I can ever eat or made! 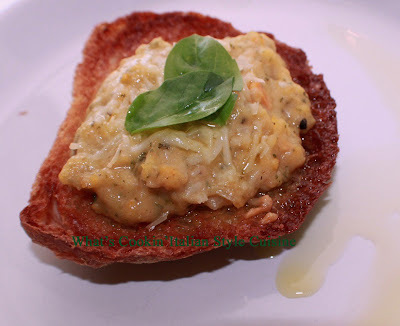 Cannellini beans pureed with the best flavors. A little fresh chopped garlic and peppers make this a superior flavor! Place the parsley, oil, lemon juice and garlic in a food processor pulse till fine. Add the salt, pepper, cayenne to taste. Add drained and rinsed cannellini beans to the food processor and pulse until desired puree. I like mine a little chunky. You can make this into a smooth paste spread if you continue to pulse longer if you like. Spread on garlic bread or whatever you prefer to use. Sprinkle with grating cheese, fresh basil and drizzle a little olive oil on top. Broil until cheese is browned. Serve warm or cold either way. This dip is also great with any kind of fresh vegetable sticks like carrots, zucchini, celery etc. A healthy and protein rich appetizer! I absolutely love white beans. Delicious and healthy! I bet that's tasty. 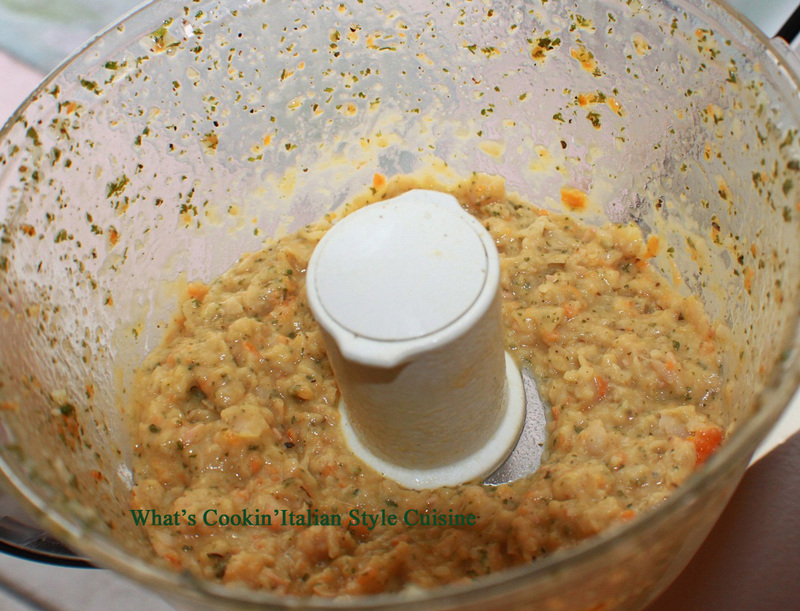 I recently heard about just pureeing cannellini with a little broth or wine to make a nice creamy sauce. What you can do with beans! This looks so incredibly delicious…I know I will be giving it a try!